This December 2017, the Philippine Overseas Employment Administration (POEA) has approved many job orders for Singapore. Scroll down to see the listing with information of recruitment agencies where the interested applicant may apply. 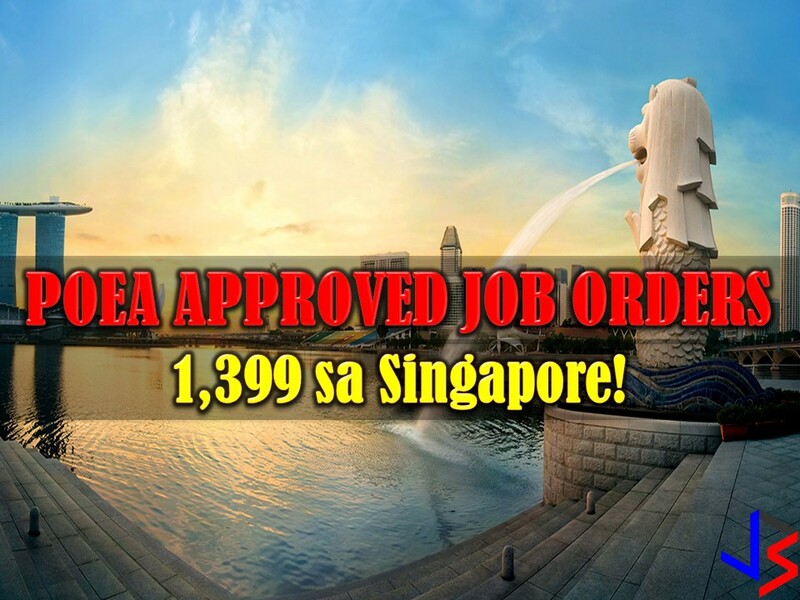 1399 jobs orders are now open for Overseas Filipino Workers (OFW) in Singapore. This is the latest job order in the said country that is approved by Philippine Overseas Employment Administration (POEA). Below are the 26 recruitment agencies with job orders from POEA to Singapore.